Did you know that if you have a working smoke alarm, you are half as likely to die in a house fire? Unfortunately many of those who have a smoke alarm don’t test it very often if at all. The recommendation is to test your smoke alarm on a weekly basis and try and build the testing into your routine so that you don’t forget. We have called our blog today ‘test it Tuesday’ as Tuesdays are fast becoming a good day to test your smoke alarm thanks to growing publicity surrounding the catchy name. It is very simple to test a smoke alarm, simply press the ‘test’ button for a few seconds and the smoke alarm will emit a high pitched beep. This means all is OK and the smoke alarm should alert you in the event of a fire in your home. If you do not hear a beep then, this normally means the batteries need replacing or in the case of a mains powered smoke alarm, it will need a qualified electrician to come and take a look at it. 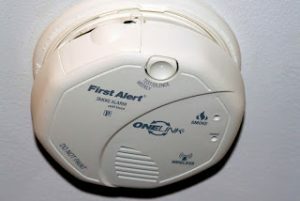 It is better to discover a problem during testing than to risk the alarm not alerting you in the event of a house fire. If the smoke alarm is located too far out of reach, rather than stand on a chair, use a broom handle to test it, this is much safer. Never be tempted to take the batteries out of a smoke alarm to stop it from beeping during cooking or if steam from your shower gets in the way or for any other reason. Many people who do this forget to replace the batteries afterwards and this leaves them with no way of being alerted in the event of a fire. If your smoke alarm is beeping when carrying out routine household tasks such as cooking the dinner, this normally means your smoke alarm is not situated in the best place in your home. At Fulcher Edwards we offer a design, installation and testing service for smoke detectors. This means that not only do we ensure your smoke alarms are situated in the best locations within your home, they will also comply with current British standards. We offer these services to both householders and businesses large and small in and around Hertfordshire. There are two types of smoke alarm, either battery or mains powered. Mains powered smoke detector systems are far more complex and need to be installed by a qualified electrician, battery powered smoke alarms are a cheaper option, however the importance to test weekly is paramount as the battery is the only source of power the alarm will have to alert you of a fire. Most newer fire alarm models now have a 10 year life with an in built battery meaning it is not possible to remove the battery this is why it is important to choose the right location in your home for your fire alarms. Your local fire service may be able to assist with locating your battery powered smoke alarms. It is important to keep fire alarms free of dust in order for them to work to their best. A simple hoover nozzle used to clean the vents is normally sufficient every few weeks. It is also a good idea to talk to your family and discuss what the best route from your home would be in the event of a fire blocking the main entrances to your home (i.e. front and back door.) Ideally a way of leaving the house via an upstairs window is a good plan to have and is often known as the ‘Plan B Route.’ This would be an upstairs window which opens out full length to enable an easy exit perhaps onto a roof further below such as a porch or conservatory roof. Always remember to leave a window key in the same room. Many householders don’t consider of alternative ways to leave their home in a fire, however it is important to know what to do should the situation occur. So remember Test-it Tuesday, and don’t forget to test your smoke alarms in your home and business today. Believe it not, it would seem that we are actually having a Summer this year! If your lucky to have one, your no doubt making the most of your garden at the moment with plenty of BBQ’s with family and friends that probably continue late into the evening. This time of year your garden is an extension of your home so why not take the time to decorate it like you would your lounge or kitchen? By this we mean with lights and not just by having one to light up the garden to help you see, but by using them to make a feature of your garden. 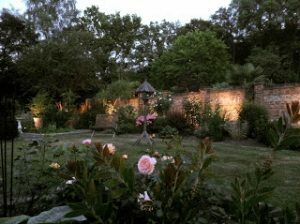 There are different types of lighting designs available that would enhance any type of garden whatever size it may be. Just by adding lighting to your walls, trees, shrubs, patio, decking, steps, pond or summerhouse will instantly bring your garden to life. There are many types of styles and effects you can choose from for your front or rear garden, ranging from traditional, contemporary to eco-friendly and you don’t necessarily need to light every area of your garden or spend a fortune to create a great effect. This is when lighting is placed at ground level by placing a light at the base of a tree, shrub or garden building which creates dramatic effects by giving depth and contour. This is when lighting is placed in or around a water feature such as a pond. Water is great for acting as a natural mirror and adding beautiful reflections. This works well when it is used to focus on a particular feature or plant as it can produce some wonderful shadows. This type of effect can also double up as a security feature too if used on a doorway of a building. This effect can be achieved when placing light in front of a particular object like a statue where it will illuminate it. This works even better if there is a wall or building nearby. This type of lighting is usually at low level and helps make the area safe and creates an interest as to where does a particular path or step lead to. This is when lighting hits a particular object from both sides, which adds a softness to the lighting. This works well on benches. This type of lighting creates a soft glow effect by placing light at the base of a wall or hedge so that it washes over the surface of them. This type of lighting is very effective and provides a romantic feel. This is done by placing and positioning a light in a tree for instance, where the light will be broken up, which then creates a dappled effect on the ground. Most people think that only landscape gardeners can carry out these type of works, however some electrical services companies do have there own design team who can discuss your ideas, order suitable lights and install them for you and you will still gain the same results. However if you would prefer to use a landscape gardening company, its worth checking with your electricians before searching, as they may work closely with some already. By doing this you not only get a recommendation but the electrical works will be carried out by a company you already know and trust. Deck lights, rope lights, sensor lights, LED and even security lights are just some of the many different lights on offer to you that can be used, so why not think about updating your garden and adding that wow factor while the summer season is upon us and enjoy it for many more years to come! It’s that time of year again when we all look forward to jet setting off to a hot destination for some well deserved chill out time with friends or family. Even though your escaping the hustle and bustle of everyday life, electrical safety is something you need to stay very much on the ball with even whilst abroad. 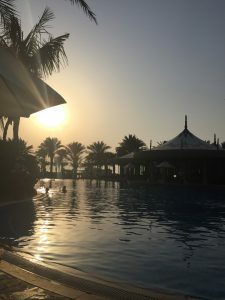 Some countries do not have the same safety regulations as we do in the UK so some vital checks should really be part of your holiday routine to keep you safe. The Electrical Safety Council recommend a few vital checks when travelling abroad and how to keep safe when it comes to electrical appliances. 1.Never touch electrical equipment with wet hands. 2.Never touch light switches if they are cracked or show signs of damage. 3.Never plug equipment into a socket which looks damaged/cracked or has part or all of the cover missing. 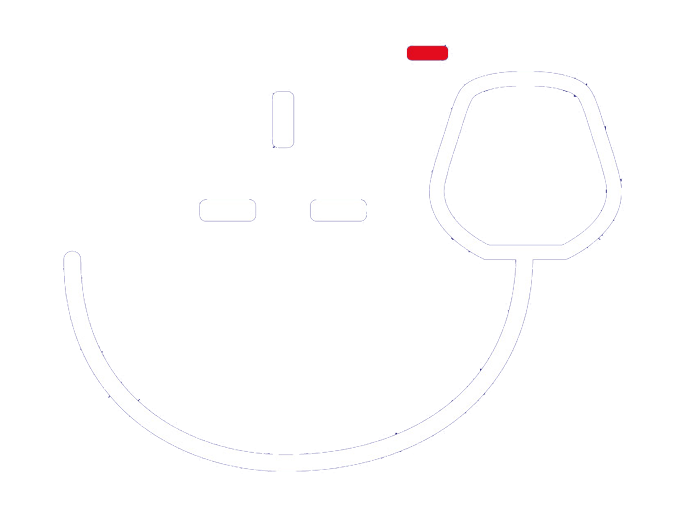 4.Never use mains powered electrical appliances in a bathroom. 5.Always check that cables are securely attached to electrical equipment and are not cut, nicked or damaged in anyway. There should be no joints in the cable and certainly no repairs with insulating tape. Cables should also be checked for signs of overheating, such as discoloration. 6.Always check that the travel adaptor you are using is the correct type for the country in which you are travelling and never force it into a socket if it does not easily fit. Wherever you are on holiday, no-one should have to compromise their safety so always report any electrical dangers to the person responsible. This could be your hotel rep, tour operator or the hotel manager. If the danger is not removed immediately, insist on it being moved. These types of checks will put your mind at rest so you can really enjoy your break. Fulcher Edwards wishes you all a safe and happy holiday!